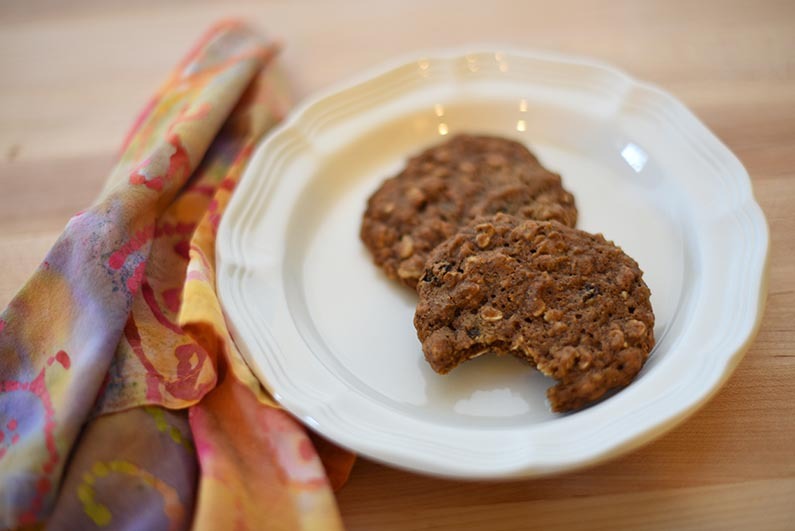 These Pumpkin Oatmeal Cookies with Walnuts & Raisins are delicious and overflowing with autumn flavors. 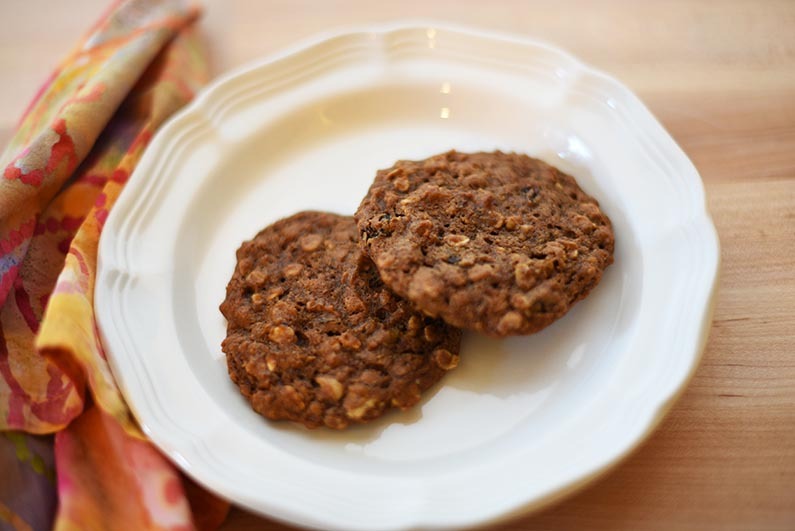 As an added bonus, the cookies are vegan and packed with healthy ingredients. I’ve listed many of the health benefits below. Pumpkin Pie Spice is a blend of cinnamon, ginger, cloves, and nutmeg. Cinnamon lowers blood sugar, while Ginger is an anti-inflammatory and reduces nausea. Cloves are antibacterial and boost the immune system. And, nutmeg can help relieve insomnia and improves brain health. Einkorn flour has not been hybridized and is more easily digested. In addition to Jovial Foods, it can, also, been found at Whole Foods or Amazon. Pumpkin contains carotenoids including beta-carotene, alpha-carotene, lutein, and zeaxanthin. A diet high in carotenoids has been associated with a lower occurrence of many cancers. Cucurmosin, a protein found in pumpkin, has been known to slow the growth of pancreatic cancer cells. Raisins have high levels of catechins, polyphenolic antioxidants that can prevent or slow down the progress of cancer. Raisins can, also, help lower blood pressure. 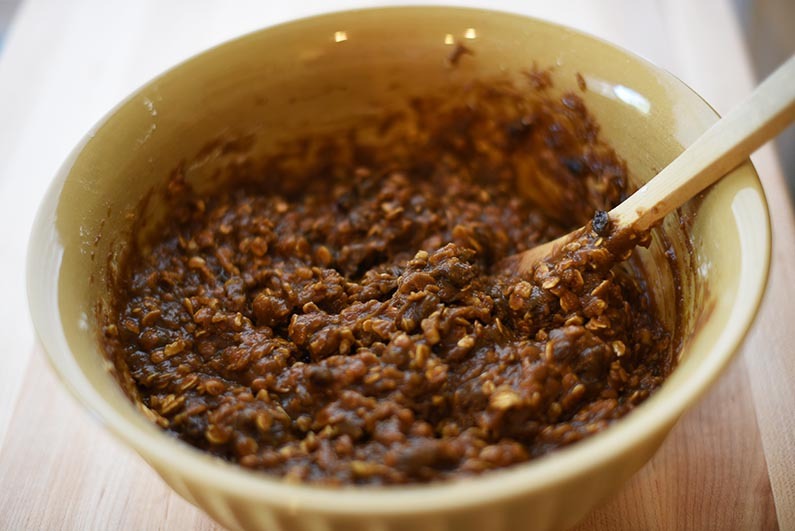 Oats and walnuts help to lower LDL “bad” cholesterol. Plus, walnuts improve blood vessel function. Flaxseeds are a plant source of omega-3 fatty acids which help reduce inflammation. Furthermore, flaxseeds contain lignans which reduce the risk of breast cancer in women and prostrate cancer in men. And not to be outdone by the other ingredients, molasses has several health benefits, too. It contains lactic acid which promotes skin health. It’s, also, high in calcium and iron, is an anti-inflammatory and antioxidant, and combats stress. I try to buy organic ingredients whenever possible, and I’m particularly fond of the 365 brand at Whole Foods. If you haven’t been to a Whole Foods in the past few months, you should give them another try. Their prices have been significantly reduced, and I consistently leave with three full bags of groceries for under $100. The quality of the produce and other items at Whole Foods is top notch. And, they’ve done the research on ingredients so you don’t have to. They don’t allow hydrogenated fats or artificial colors, flavors, preservatives, or sweeteners in any food they sell. Their meat and seafood meet high standards for quality, animal welfare, and sustainability. Their body products don’t contain harmful ingredients, and their cleaning products are “non-toxic”. I’m confident that the products I buy at Whole Foods are safe and support my health and well-being. *Please know that I receive no compensation for my opinion on Whole Foods. 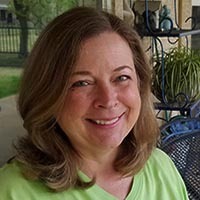 I’m just a fan of their products and standards. 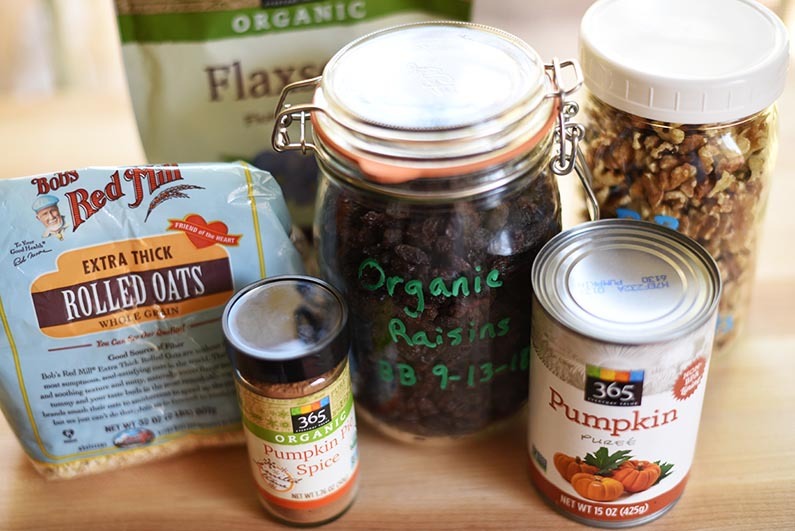 Let’s get started making the Pumpkin Oatmeal Cookies. Mix the wet ingredients and the sugar and ground flax seeds together in another, larger bowl. Fold the dry ingredients by thirds into the wet ingredients. Fold in walnuts and raisins. 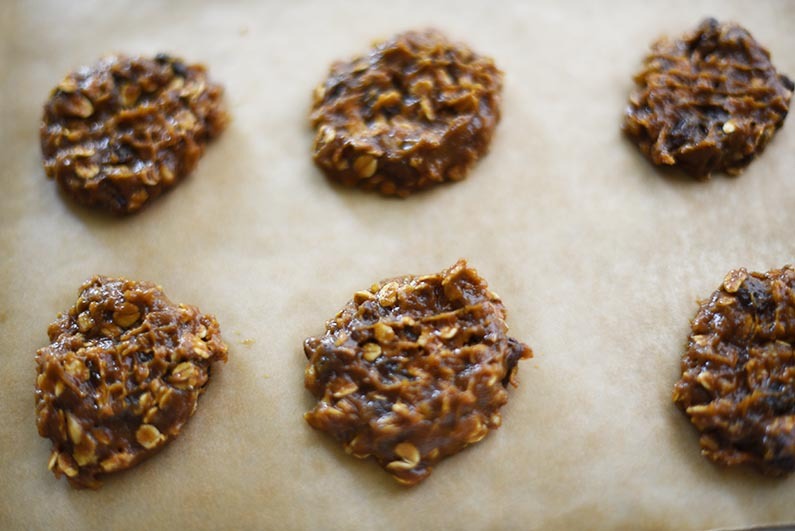 Using a tablespoon, drop the cookie dough onto a parchment lined baking pan and flatten the top. After the cookies have finished baking, cool them on a wire rack. These cookies taste better after they’ve set for awhile. 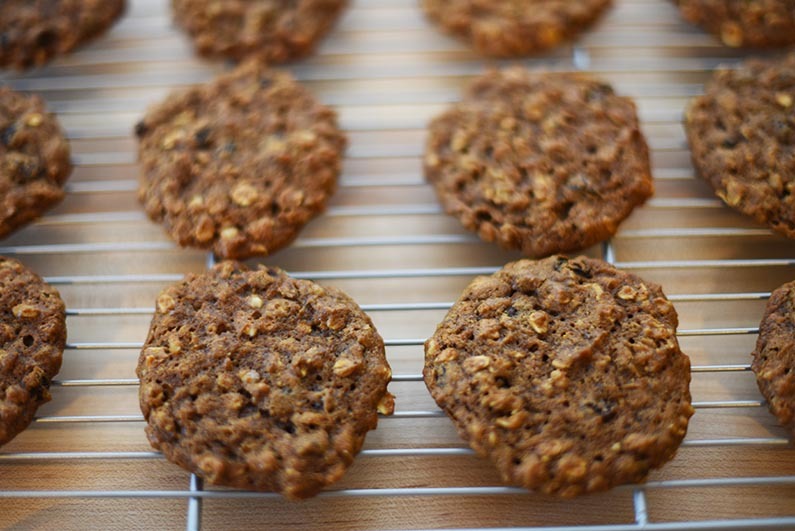 I hope you enjoy these yummy Pumpkin Oatmeal cookies! Preheat oven to 350°. Line baking pans with parchment paper. 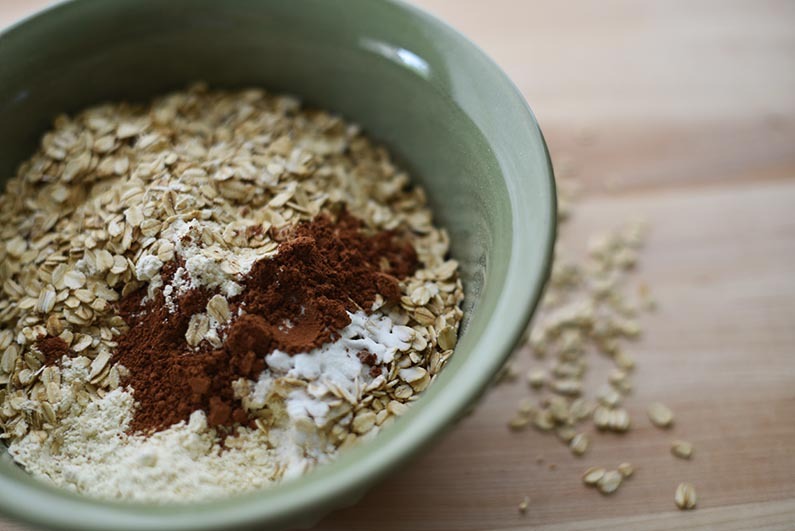 In a bowl, mix together flour, oats, baking soda, salt, and pumpkin pie spice. 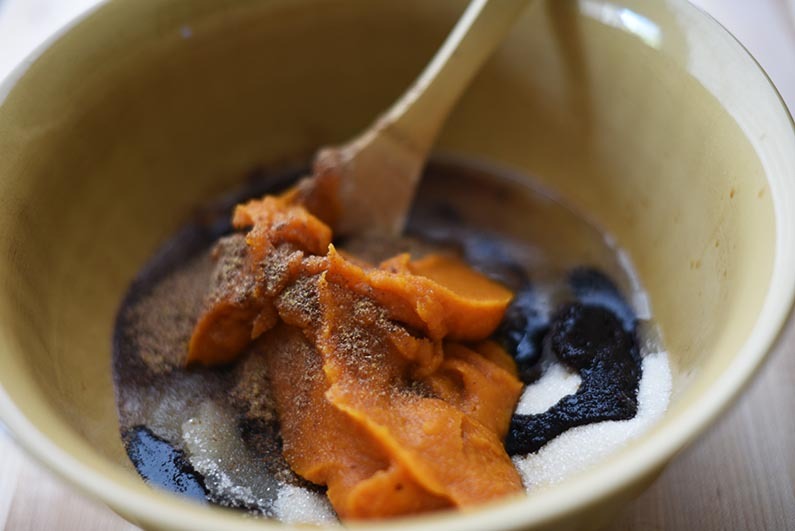 In a separate bowl, mix together sugar, oil, molasses, pumpkin, vanilla, and flax seeds till well combined. Fold dry ingredients in thirds into wet ingredients. Refrigerate cookie dough for 30 minutes. Using a tablespoon, drop cookie dough onto parchment lined cooking pan. Flatten the tops with a fork or your fingers.